Selecting an email host is a decision many people make without much research. How hard can it be, right? Try typing “email host” into your search engine and you will quickly find that your selection is not as clear cut as you might have thought. The variety of options might now look overwhelming. We are here to make your decision a little quicker, easier, and more informed. Outlook.com is one of the popular options for email hosting. It is free and is a common selection for private users, carrying the benefits of familiarity. However, being that it is a free option, clearly Outlook.com is not able to offer the same features as an exchange-level mail server. With a modern set up and basic organization tools, Outlook.com is a good option for personal use and rarely produces cause for complaint. However when it comes to time-saving fea tures, efficiency, and a business-professional program, you are going to want to look a little further. Outlook.com may keep spam levels in your inbox around 3%, but the built-in anti-spam Message Sniffer offered in SmarterMail protects you from just over 99% of spam. Outlook.com might be free, but SmarterMail’s affordable price is more than worthwhile. The features offered in SmarterMail are designed to make your day-to-day business communication and organizations smooth and effortless. Planning an event with multiple people? SmarterMail can sync your calendar with calendars shared with you, offering easy coordination at a glance. Additionally, with a checkmark system, you can choose to view native and shared tasks, contacts, and notes simultaneously. Headaches over availability and planning are a thing of the past. 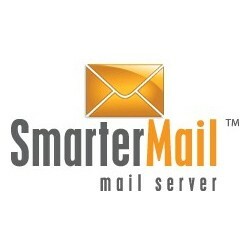 Included in SmarterMail’s email server is our fully integrated instant message system. This allows you and your domain users instant communication. Quick and convenient, it keeps you up-to-date on co-worker availability and promotes speedy communication without the hassle of group emails or not knowing if your message has been received. Outlook.com offers a similar feature, but it only works if your contacts are synced with Skype. SmarterMail’s system is connected with the email host so that, regardless of other programs, all your users will have access to it. Another helpful feature SmarterMail offers is the disposable alias option for when you need to sign up briefly for a website or newsletter but don’t want to increase your spam. At the end of a time limit, the randomly assigned address expires and your inbox remains as spam-free as before! Still not convinced? SmarterMail offers all the features listed above and more! Try out a demo trial run to see if it fits for you. Some features have been disabled for security purposes, but you will still get an excellent idea of SmarterMail’s benefits! For a business, the ideal server is one with a more professional front without distracting ads, with quick communication, with excellent security protocol, and which connects calendars, contacts, tasks, and notes from any location. SmarterMail offers only the best.